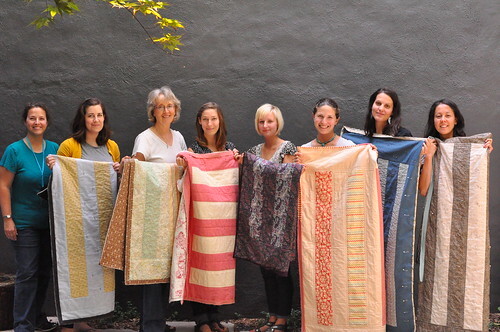 Look at how awesome all the Amish Bars Quilts turned out! 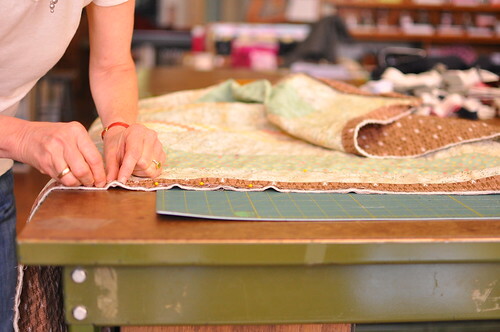 Everyone in the class got to the point where they had attached their binding to the front and were starting to work on hand stitching it to the back side. Yay! What a fun way to spend the week. I’ll be finishing up my binding, adding a hand embroidered label and maybe doing a tiny bit more quilting before posting a final photo of my quilt. well done! they all look so lovely! Yay, we did it! 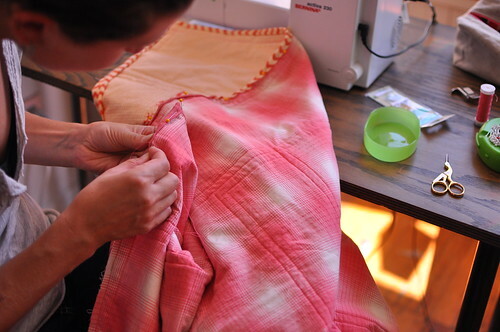 (well, almost–just that pesky binding to hand-sew now…) Thanks so much to you and Johanna for an excellent week!